I am a true believer that the jewellery/accessories a person wears tell a story about them. From an engagement ring to a Pandora bracelet to a string-made anklet, sentimental jewellery are one of our most treasured possessions. I decided to dedicate a post to explain the stories behind the two items I wear every single day without fail. I can’t wait to own more items, the kind you tell your children about. My two items include a ring and a watch so read more to find out why they are so special to me and assist me wherever I go. 1. Virtue Ring Faith Amy Stackable Ring. I was given this ring by my boyfriends parents as a Christmas present in 2014. Not only do I love the ring because it is from them but also the ring is called ‘Faith Amy’. When Rich and I moved to London, it meant not seeing our families as often as we would like but this helps to show that they support my decision to come to Uni here and Rich’s decision to be beside me every step of the way. I wear this ring every day to remind myself, especially when I’m having a bad bay, that there are people that believe in me. They helped Rich get a job in London as well as helping us move into our new flat and for that I will be ever grateful. Its embellished purple gems look beautiful too and go with every type of outfit. 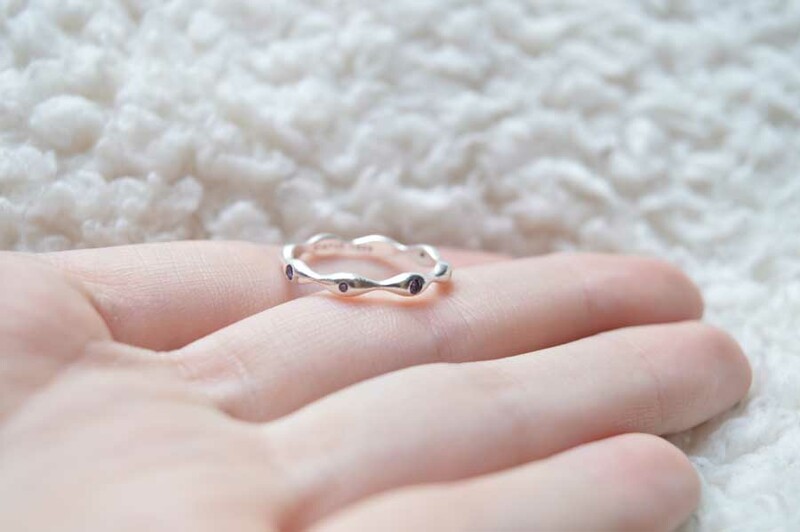 Being a stackable ring means you can add extras on top of this one to create your own unique story which is something I really hope to complete with each ring reminding me of something/someone special in my life. 2. 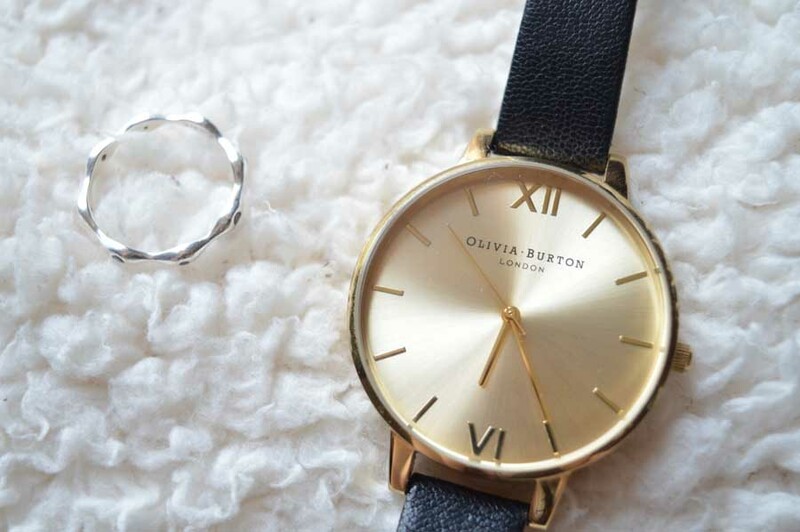 Olivia Burton Black/Gold Large Dial Watch. I got this watch just after Christmas time too. I used the money my parents gave me to invest in a watch I knew that I would wear as I’ve had so many watches that I stop wearing. Having a gold face and a black strap, I knew it would go with anything in both winter and summer. I use this to remind myself that in time I’ll be back at home, in Devon, with my family close and living so far away is only temporary and with every tick, I’m one second closer to that day. I’ve always seen a great watch to be an investment piece and I hope this will be a part of my wrist for years and years. 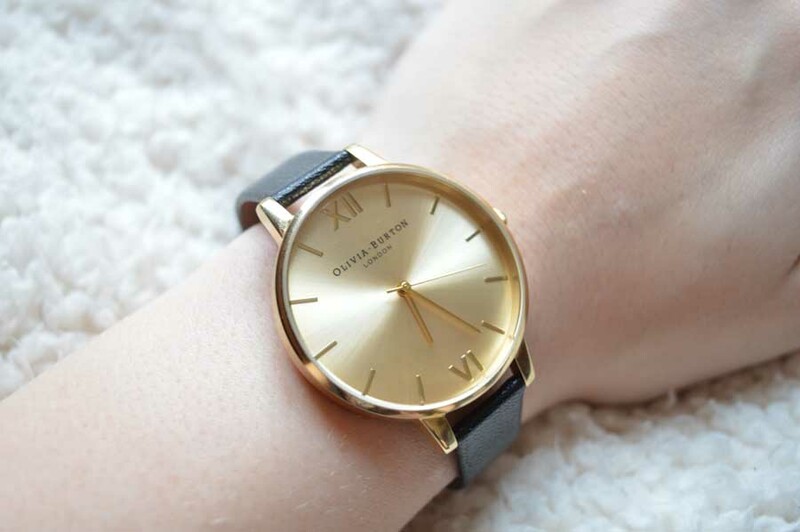 Plus just how beautiful has Olivia Burton made this watch? So pretty and I receive so many compliments whilst wearing it from work or to a night out. Do you have any sentimental jewellery that you wear daily?